Cyclone $556,400 Board Track RacerFlashback Fabrications Ltd. The 1915 Cyclone . 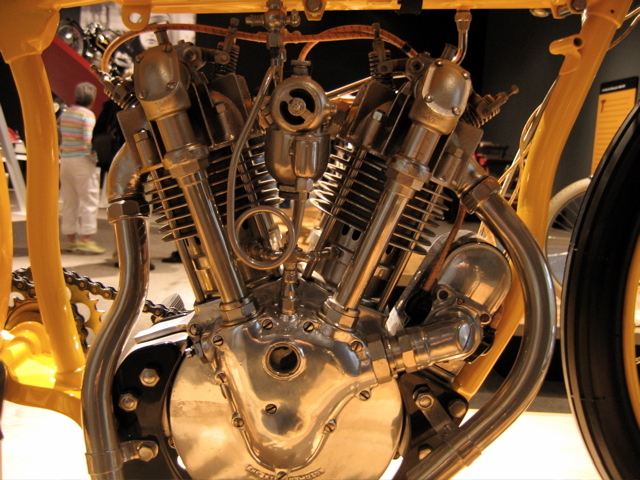 . .
was the bike that inspired J.A.”Jock” McNeil and Bob Perry to build the 1919 OHC Excelsior. The Cyclone was known for being fast but fragile, so the Excelsior was overbuilt on purpose. From the photo below, notice the similarities between the two motors. Why would a Boardtrack Racer end up setting the world’s record antique motorcycle price? Probably something to do with History. They truly were the First Superbikes. The following story is re-printed (with permission) from BikeEXIF.com, a great website if you haven’t already discovered it. 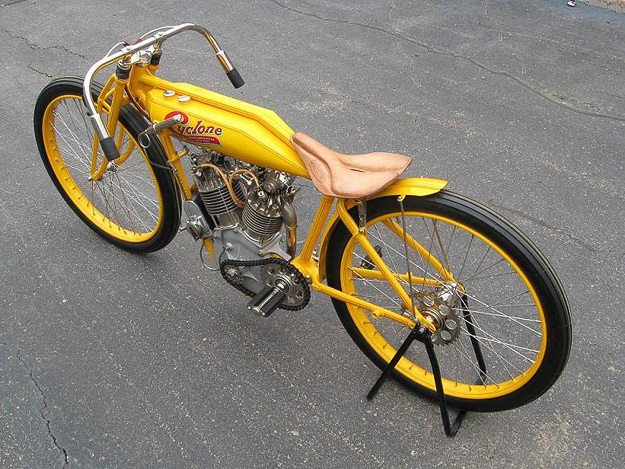 MidAmerica Auctions is now claiming this 1915 Cyclone sold for $556,400, not $520,00 as mentioned below.